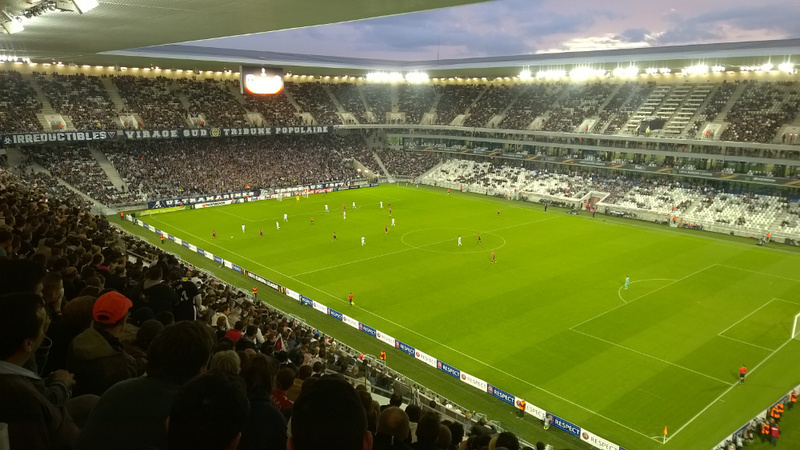 Stade Matmut Atlantique, previously also known as Nouveau Stade de Bordeaux, is the recently opened new stadium of Girondins de Bordeaux. 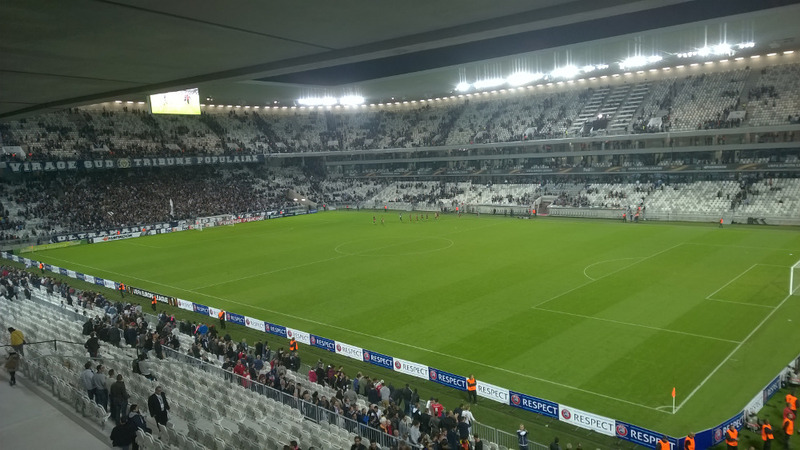 It replaced Bordeaux’s old stadium Stade Chaban-Delmas. 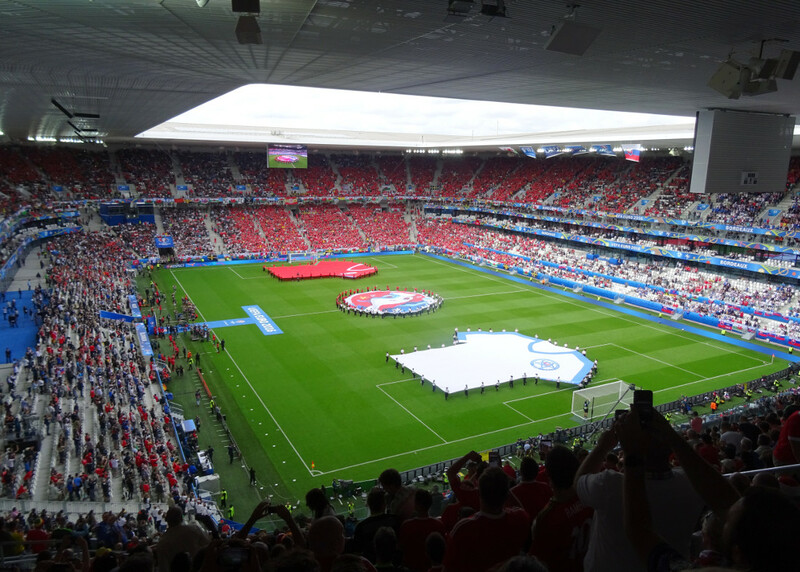 Apart from serving as Bordeaux’ new home, the stadium also got built with the purpose to serve as one of the playing venues of the Euro 2016 tournament. Construction of the stadium took longer than planned due to lawsuits by local citizens that objected against the high costs of the stadium, partly financed with public money. The first stone was laid in April 2013, and while scheduled to be completed by late 2014, it took until May 2015 for it to be opened. In 2015, a naming rights deal was announced with insurance firm Matmut, resulting in the name Matmut Atlantique. Stade Matmut Atlantique officially opened on 23 May 2015 with a league match between Bordeaux and Montpellier (2-1), and hosted its first international match on 7 September of the same year when France beat Serbia 2-1 in a friendly. The stadium, designed by Herzog & de Meuron, stands out by its exterior with a series of stairs leading up to an open corridor and a roof supported by a large number of thin poles. The stadium has a total of 3,000 business seats and another 1,000 seats in VIP lodges. During Euro 2016, Matmut Atlantique hosted four first round group matches and the quarter final between Germany and Italy (1-1). Matmut Atlantique is located in the north of Bordeaux on the edge of the city, roughly 6 km from the city centre. 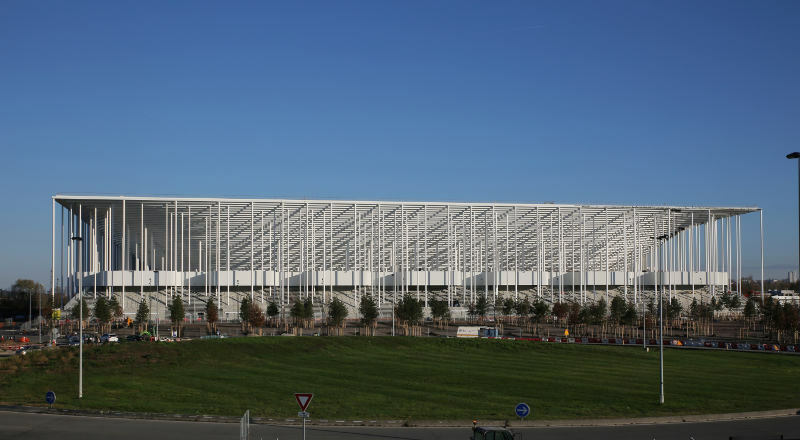 The stadium is located just north of Bordeaux’ ring road. Take exit 4 / 4a / 4b from the A630 towards Parc des Expositions / Bx Lac. There is plenty of parking space near the stadium. Stade Matmut Atlantique can furthermore be reached with Tram C. You can catch the tram for the main rail station, St Jean, or any other stops alongside the Garonne river up until Place de la Bourse. Get off at stop Parc des Expositions, which is the last stop on the line. Trams run frequent and the journey takes about half an hour. Alternatively, one can take tram B to its last stop Berges de la Garonne and walk half an hour from there to the stadium. Matmut Atlantique is located on the edge of the city in an area that is a mix of offices, sports facilities, and a nearby conference centre. The pleasant Floral park is located right next to the stadium. There are a few roadside fast-food restaurants nearby, but overall there’s not much to do around the stadium, especially when the weather isn’t nice. Eating and drinking is therefore best done in Bordeaux’ city centre. There are a fair few hotels near Matmut Atlantique due to its close proximity to the conference centre. The ibis budget Le Lac and Campanile Bordeaux Nord are good options for those on a budget, while the Novotel Bordeaux Lac, Mercure Bordeaux Lac, and Pullman Bordeaux Lac offer more comfort for those that have a little more to spend. Click here for an overview of all hotels near Matmut Atlantique. However, if you’ve got some more time to spend, you would likely opt to stay in Bordeaux’ city centre where you can find a wide range of hotels. Tickets for Bordeaux matches can be bought online through the official website, the Auchan website, or Ticketmaster. They are generally sold as print@home e-tickets. Tickets can furthermore be purchased in person at the ticket office at Matmut Atlantique, at the L’Esprit Girondins club store at Bordeaux’ Château du Haillan training ground in the north-west of the city (on weekdays only), or any Ticketmaster or Francebillet sales outlet. If tickets remain available, these can also be bought at the tickets windows of the stadium before the start of the match. 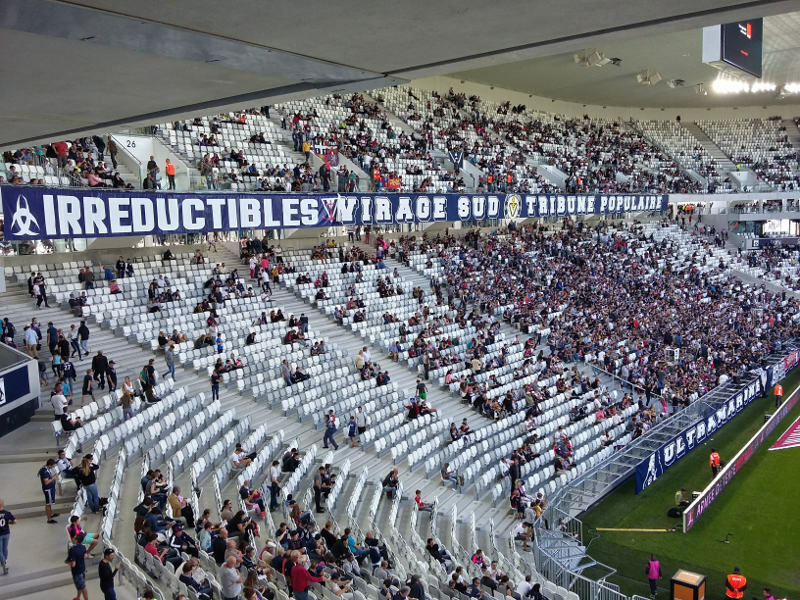 Bordeaux do not tend to sell out regular league matches. Ticket prices depend on the opponent, but for a typical match range in price from €12.00 for an upper-tier seat behind the goal to €52.00 for the best seats at the main stand. Call +33 (0) 892 68 34 33 for more information. 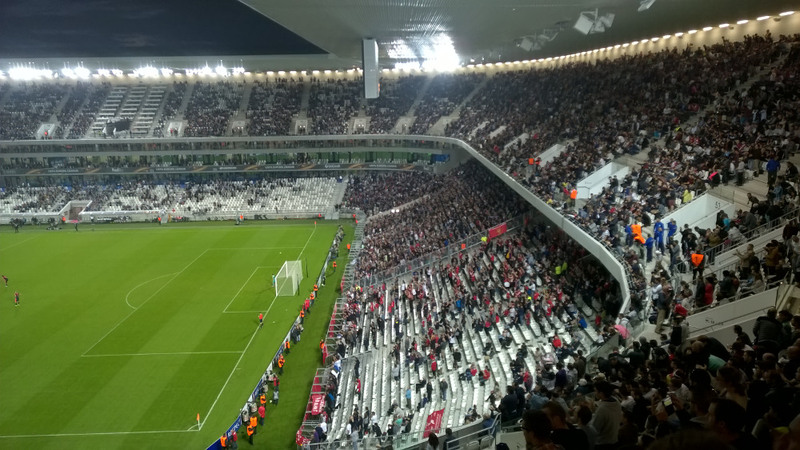 The Bordeaux tourist office organises guided stadium tours around Stade Matmut Atlantique that last 60 minutes. Tours run about once a week or every other week, typically Wednesdays. Check the Bordeaux tourism website for the current schedule and to make a booking. Matmut-atlantique.com – Official website of Stade Matmut Atlantique.